Curtis Farraday: You know you can get AIDS from looking through trash, right? Tommy 'Eats' Eaton: Only way you're ever getting AIDS. Yes, it resembles the first season of Stranger Things. Yes, it echoes Disturbia. I suppose it even tangentially recalls the remake of It if you've never watched real 70s/ 80s horror. Still, this film has its own take on the eighties and kid-centered horror. I liked it more than Disturbia (which was too slick) and more than the remake of It (which was too CGI action-oriented to be scary). 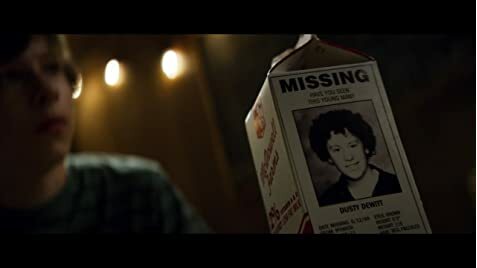 Even though the story of Summer of 84 is not at all supernatural, the film recalls Phantasm (1979) in the way that its mood blends easy going playfulness with eerie suspense and horror. The cast is good, the writing is strong, the cinematography is spot on, the editing is tight, and the score is lush in its own synthesized way. 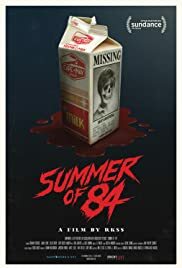 Summerof 84 may be more creepy than horrific, but in that vein, it succeeds! 46 of 60 people found this review helpful. Was this review helpful to you?